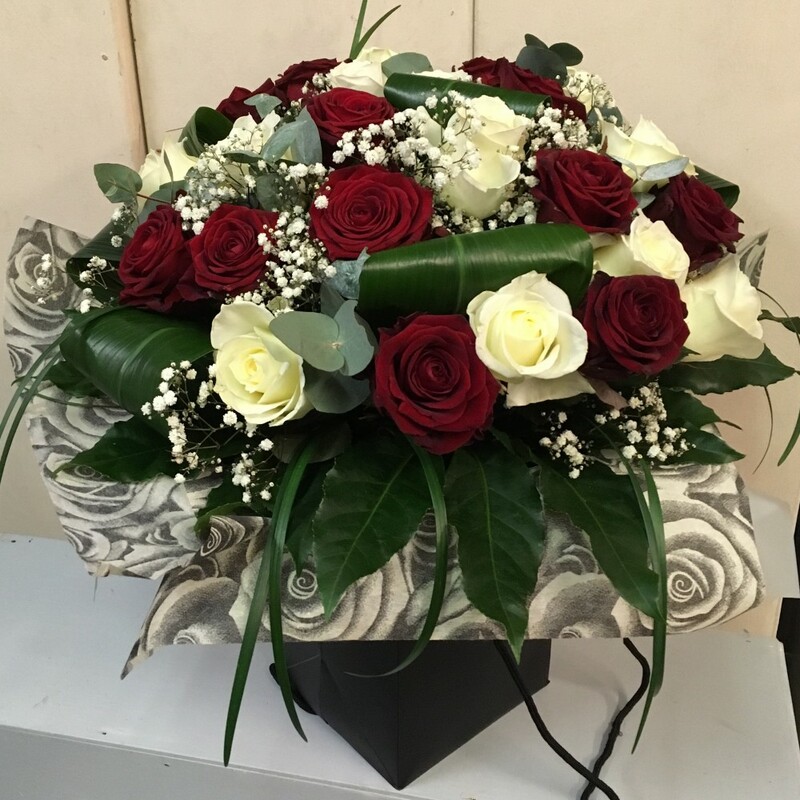 A beautiful handtied bouquet of 12 luxury white roses and 12 of the best Red Naomi roses adorned with gypsophilia and a selection of stunning foliage. The bouquet will be aqua packed and presented in a gift bag. How to WOW on Valentines day!